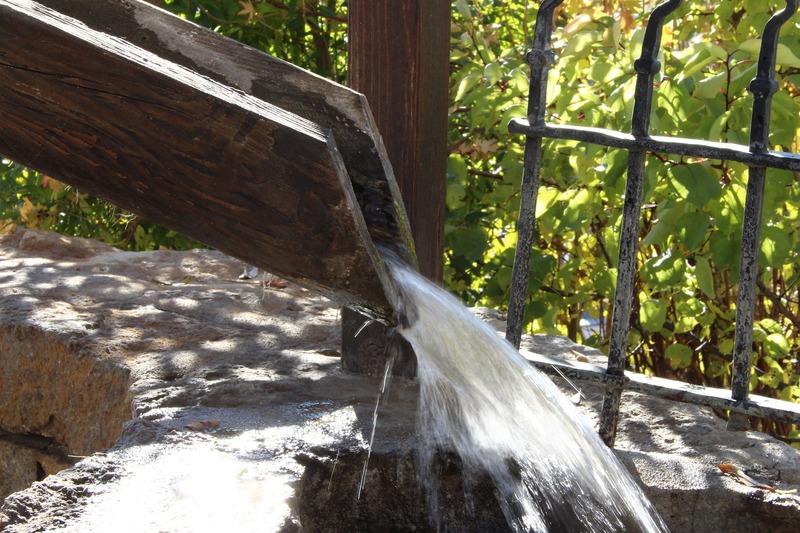 Drawing water from the wells of salvation — Go to Heaven Now! My personal experience and other passages of scripture have lead me to this conclusion about Isaiah 12: Each instance of God’s deliverance in the past is a well of salvation. We draw water from the wells of salvation when we proclaim and give thanks for what God has done before. Scripture teaches that God accomplishes his will through his word. His word is powerful. My experience also confirms that miracles happen as we proclaim God’s word. One way to proclaim God’s word is to declare the promises of scripture. When we tell stories about what God has done, we are also proclaiming God’s word. We are not just proclaiming God’s works, but his nature, as it is revealed through his works. Every story of God’s deliverance is precious to me. I love to ask other believers how they came to know the Lord, and what God has done in their lives. The stories I have heard are so amazing! I also continue to remind myself of what God has done in my life. I have found that when I can’t stop talking about God’s deliverance, the same things happen again! Here is just one true story that illustrates the principle of Isaiah chapter 12. It’s also a good illustration of what walking in faith looks like. My brother and I met a blind lady and her friend after the evening meeting of a Christian conference and we all started to talk. When we realized that she was blind, we asked if we could lay our hands on her eyes. She welcomed healing ministry. We first interviewed her about the condition. She was legally blind and could not see color. She could see light and darkness, but not much more. Then we laid our hands on her and began to command her eyes to see. She felt a current like electricity flowing in her eyes, and we felt heat as a manifestation of God’s power. This was exciting, and we continued. She did begin to see some color and reported a slight improvement in her vision. However, after quite a while, her vision was still very bad, and I think she would have still been evaluated as legally blind by a doctor. I had been laying my hands on many people, seeing many miracles, constantly talking about all that God did, and rejoicing in His goodness. However, I always tried to share stories with as much accuracy and integrity as possible. Talking about God’s mighty works is simply good stewardship. We have a responsibility to share God’s deliverance with others. So the next Wednesday, I shared this as a testimony at the youth meeting. I didn’t exaggerate. But I gave thanks to God that as we laid hands on her, she felt his power and had some slight improvement. I shared that she still had a long way to go, but I knew that God wants us to open the eyes of the blind as Jesus did and that we are growing in God’s power and grace, and so I was excited to see such a manifestation when laying hands on a blind lady. I have heard many Christians endlessly asking “Why?” when someone is not healed. I have often seen that if ten people are healed and one is not, many people will talk more about the one that was not yet healed than the ten who were. This is a sin. I refused to focus on the fact that she was still mostly blind. I just knew that I was growing in God’s grace and power, and excited to see that the Holy Spirit was working, even if the work was not yet completed. As I was sharing this testimony, not of a blind lady being fully healed, but of a blind lady feeling God’s power and having a slight improvement, my sister blurted out “I feel something moving in my eyes.” I had been drawing water from a well of salvation as I thanked God for what he was doing with the blind lady, thus I was releasing the word of God. It triggered something supernatural. Again. I found out that if I would talk all day long about God’s miracles and deliverance, miracles would happen all around me. That weekend my sister went to the eye doctor. He was surprised and said, “I don’t usually say this, but I recommend that you stop wearing your glasses.” My sister had been healed of farsightedness, unexpectedly, as I was thanking God that the blind lady felt His power. Similar things have happened many times. We talk about what God has done, and the same thing happens again. Contained within each testimony of God’s salvation, is a deposit of the power of God, a well. When we tell the stories and thank God for what he did before, we are declaring God’s word and the same power is put into play in the present. Once, an old Methodist lady told me a story from her youth. There was a married couple, and the wife was a Christian but was crippled and in a wheelchair. The husband was a rough guy with a bad character. His wife prayed for many years for him to come to the Lord, but his heart was hard. One day, after all those years, he opened his heart after hearing someone preach. He decided that he wanted to give his life to Jesus. When his wife saw him walking down the aisle of that church, she was shocked! She jumped up, forgetting that she was in a wheelchair, and never used it again. When I heard this story, even though it was from several decades ago, I was overwhelmed by the joy of salvation and felt God’s power course through my body. The same grace and the same salvation were available here and now as we gave thanks for what God had done. I pray that the Holy Spirit would open your eyes to the truth of this principle so that you would really desire and learn to put it into practice. When I started to see miracles happened in my life, I often spent three hours a day reading archives of testimonies on sites like ibethel, Global Awakening, and Healing Herald. As I thanked God and spoke of his mighty works, the same things happened again all around me. Read Psalm 71 and determine that, like the psalmist, you will tell of God’s righteous acts and of his deeds of salvation all day long. Determine that you will continually draw water from wells of salvation and that you will talk about God’s righteous help all day long. How have you seen God’s salvation? How has he delivered you? Whether it is physical healing, the joy of forgiveness, freedom from fear, deliverance from addiction, or anything else, you have a responsibility to tell others about it. Do you want to see nations saved? Then, proclaim God’s deeds among the nations. my soul also, which you have rescued. have been put to shame, and disgraced. These are just a few of the stories and principals from the second book in the Heaven Now Trilogy, I Will Awaken The Dawn. If you liked this post, you may want to check out my Heaven Now book trilogy. It contains many similar insights into understanding simple gospel truths and exercising heaven’s dominion on earth. It’s also filled with testimonies of what happened when I put these truths into practice. I’m sure these books will encourage you and help you learn to walk as a heavenly person. Not only that, but your purchase supports our missionary work in Brazil and in every other place we go!